Here is how I think Tesla will bring a security system to Tesla vehicles. Proximity sensors take stills and immediately uploaded them to the cloud. Damage detection system activated by the enhanced autopilot algorithms similar to self driving system. Tesla’s self driving algorithm is a very simple (and by simple I mean brilliant) data pattern recognition system with outcomes triggering functions. If Tesla captures somebody breaking in through a window, it will be easy to train the situation recognition system to call a function that turns on interior lights and activate the interior camera. If any vibration is detected, assuming one of Tesla many sensors can detect such, the 3 closest cameras to the vibration, or even all the cameras immediately capture snapshots and upload to the cloud. As always Tesla will provide some simple config options. So basically if anybody damages your car a log would be created. Evidence will be collected and stored immediately in the cloud. You would get a push notification (configured through the phone app) to your phone so you can go check on your car. Or maybe you will just want to look at the photos and call the police to report an intruder. Currently, if you accidentally leave your phone in the car, it is like leaving your keys in the car. But when #3 is implemented, failure to be recognized as an approved driver would require the user to enter a pin. Unless it is in valet mode. Unrecognized drivers could be approved through the Tesla app as one time drivers or unrestricted. Currently Tesla uses a keycard or smartphone Bluetooth to access the vehicle. But perhaps driver recognition could work on exterior cameras as well allowing entry with just the approved drivers face. Anyways, I think Tesla could charge a monthly fee for this or bundle it in with part of their enhanced autopilot or self driving packages. Or maybe of part of their up and coming premium internet package. Often Tesla gives these features to early adopters. I hope I get these features. I wish I could help build them. I got some things right, somethings wrong. 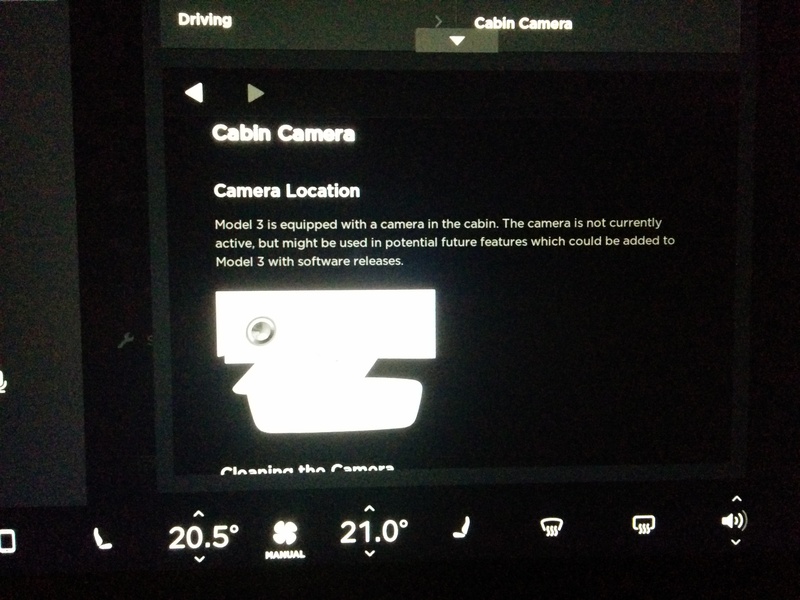 Last month, Tesla blogged about Sentry Mode..
Sentry Mode is indeed a security system much like I described. The defaults I got wrong. I expected multiple settings which could be enabled by default. Although Sentry Mode must be enabled every time, I have seen at least two people question: why it cannot be left on? The official story is that it drains the battery. While it definately drains the battery, I think many people would benefit from having it on. If your car were broken into you and you had this feature and you forgot to turn it on… that would be pretty infuriating. I expected it would use proximity sensors. I didn’t consider they would use the microphone. Smart.